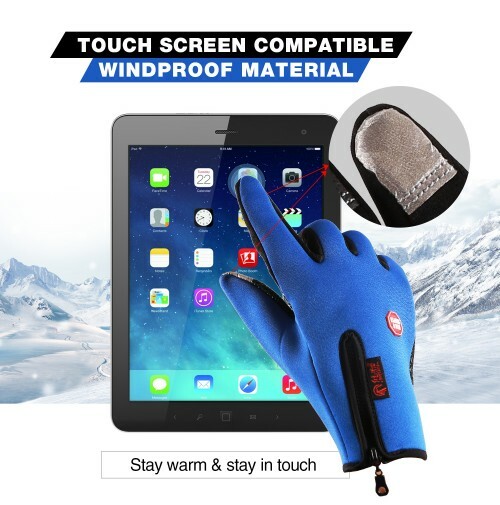 Sensitive Touch Screen Gloves: this warm gloves use Touchscreen Fingers Capability design, allow you to use the smartphone and touchscreen devices normally without having to take the thermal gloves off. 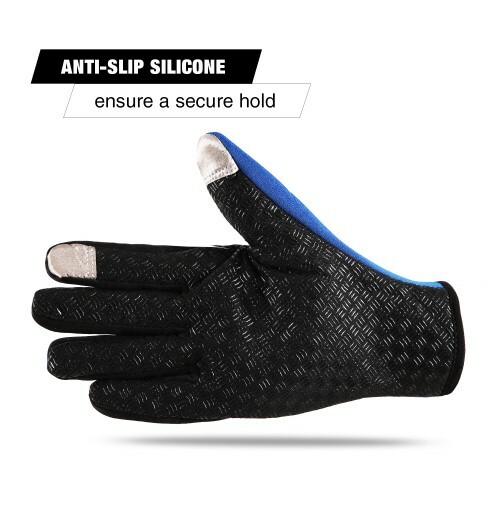 Anti-slip Design: The gloves use anti-slip silicone on the palms increase the friction and abrasion resistance, can prevent the items slipping, offering better use experience. 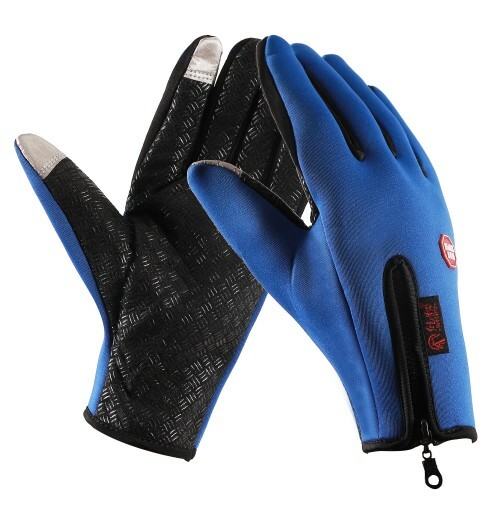 Hand Back Zipper Design: On the back of the gloves has a zipper. So you can adjust the sizes to fit your hands comfortably.Hand circumference is L:7.8"-8.6". 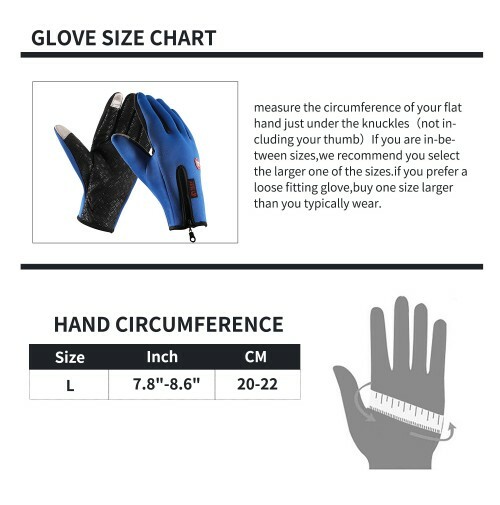 measure the circumference of your flat hand just under the knuckles（not including your thumb）If you are in-between sizes,we recommend you select the larger one of the sizes.Hand circumference,L:7.8"-8.6". 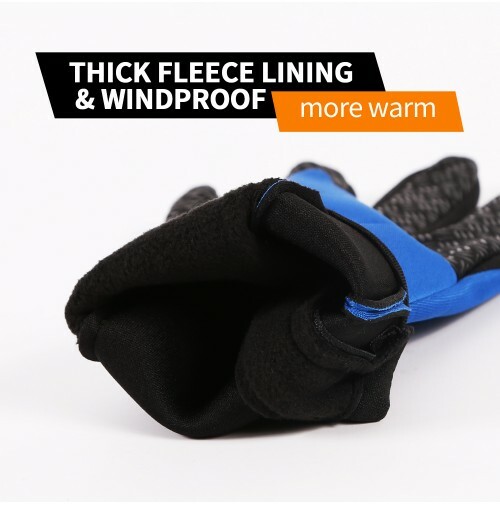 On the back of the gloves has a zipper. 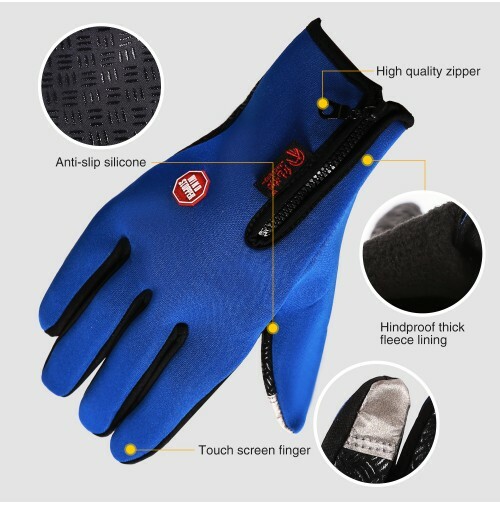 So you can adjust the sizes to fit your hands comfortably.